This Cute New Bistro Is Just The Place You Need To Head To For The Perfect Brunch Feels! What’s your ideal setting for Sunday brunches or some ‘me-time’? Traffic? Loud neighbours? Same old boring food? OR a heavenly brunch under the shade of trees and open skies *bliss*? That was just a stupid question but what if we tell you that we have just the right place in mind for your European brunch dream? Come Swing By! | Soho Bistro and Cafe opened up a few days back and just became the talk of the town! 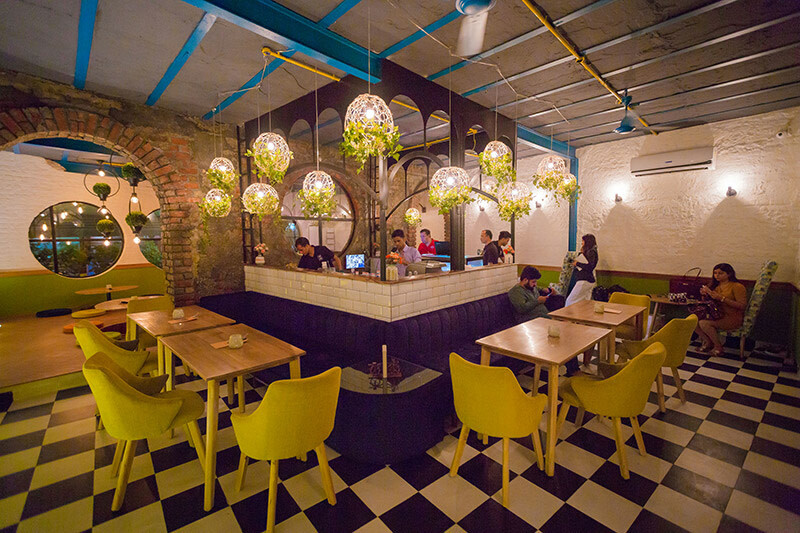 The tasteful and chic interiors, spacious sittings and of course, yummy food - all this is enough to make this place a must try *and also fall in love*! On to the menu *the most important bit*, you’ll find European and Continental cuisine to gorge on. You can sit outside on the porch or inside *with your shoes off* on the bean bags or the open air balcony area. Pro tip - the place is best enjoyed in the evenings! The place is ‘SOHOmely’ *see what we did there! * that it’s bound to become your second home! Shortlist and bookmark it! This place is just what you need for those long Sunday brunches or a fun evening!